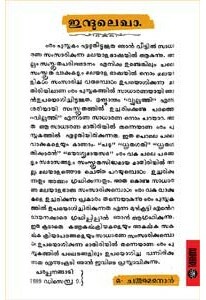 Classic novel in Malayalam by O Chanthu Menon, first published in December 1889. The author published a revised edition in the next year, with two forewords. This Tamara edition is a reproduction of this revised second edition. It tells the story of Indulekha, a graceful Nair girl with good intelligence and artistic talent. She is in love with another young man, Madhavan, the hero of the novel, who was also presented in ideal colours, a member of newly educated class of Nair class graduated from University of Madras. 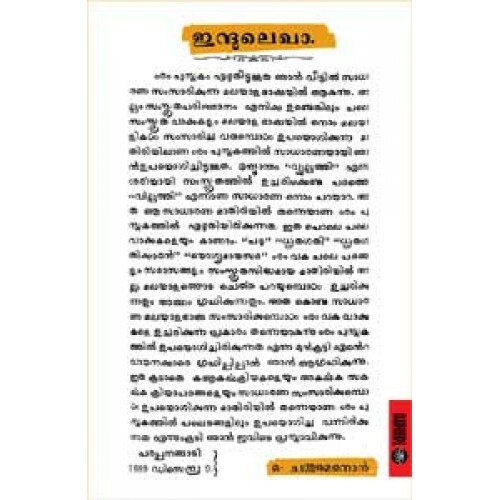 The story details how the matrilineal society of those times, encourages Namboothiris to start a relationship with Indulekha. Indulekha promptly snubs the old Nambudiri man, but Madhavan in haste runs away from the household, to Bengal.